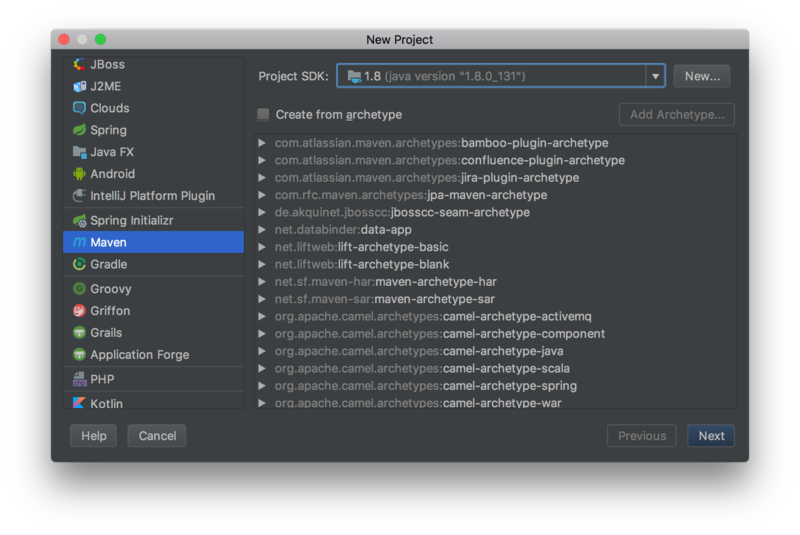 Find and select project category Maven and choose your project SDK (for now it’s 1.8). If you haven’t any then you need to install JDK e.g. from Oracle official website. For now we won’t create our application from any archetype. Click Next. Now we need to enter our company name (called GroupId) e.g. com.company and application name (called ArtifactId) e.g. tube. We’ll leave the version as it is. Then we choose the location of our project and finally we can start. 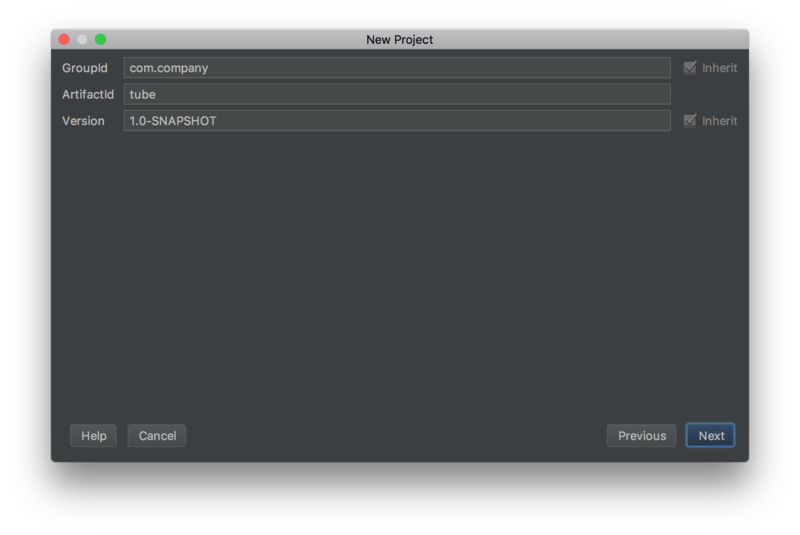 After the project creation you’ll be asked to Auto-Import all the Maven dependencies. I prefer to do this, because if you do so then you won’t need to reimport projects manually after any dependency updates in your POM file. 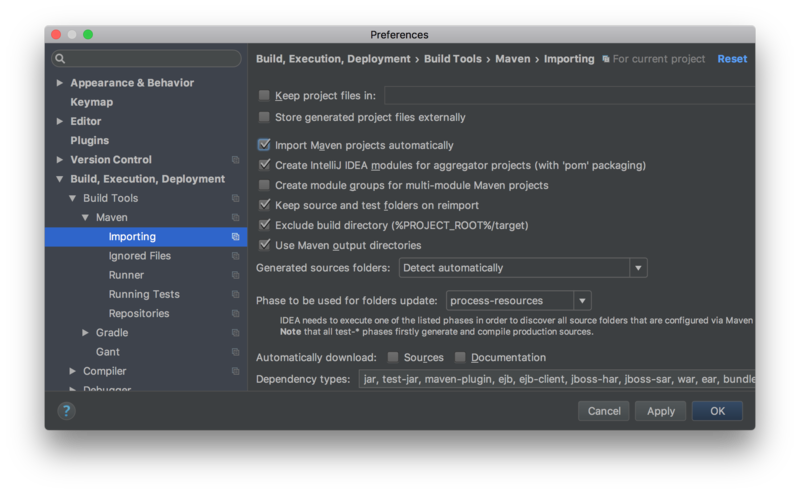 You can enable Auto-Import later in IntelliJ IDEA Preferences: Build, Execution, Deployment → Build Tools → Maven → Importing and checking the Import Maven projects automatically box. Library - the main entity and repository storage. Presenter - our web frontend. Scheduler - the data handler. Then we can bootstrap all our modules using IntelliJ IDEA’s intentions. Choose Create Module with parent to share all the common dependencies and plugins between the modules by defining a parent. Be sure to mark all src/main/java directories as Sources Root (call context menu on java directory and select Mark Directory as → Sources Root) and all src/main/resources as Resources Root respectively. Then we’ll be able to define our modules’ pom.xml files. Now we need our Presenter and Scheduler to be dependent on Library module and Spring Boot. Then we’ll just kickstart our whole project under Spring Boot parent. We’re using the latest version here but you can take whichever you want here. Now all our modules will be packed with brand new Spring Boot Framework inside. We also need to accompany our modules with database interaction ability so we include the Spring Boot Data JPA starter module. Now we’re ready to get started with database interaction which we’ll cover in next chapter of this guide.